HOPE – The inaugural session of a multi-disciplinary working group designed to explore the means to address the incidence of adolescent mental health issues in the Hope Public Schools as an ongoing initiative drew some two dozen stakeholders, mental health professionals and HPSD professionals together June 13. 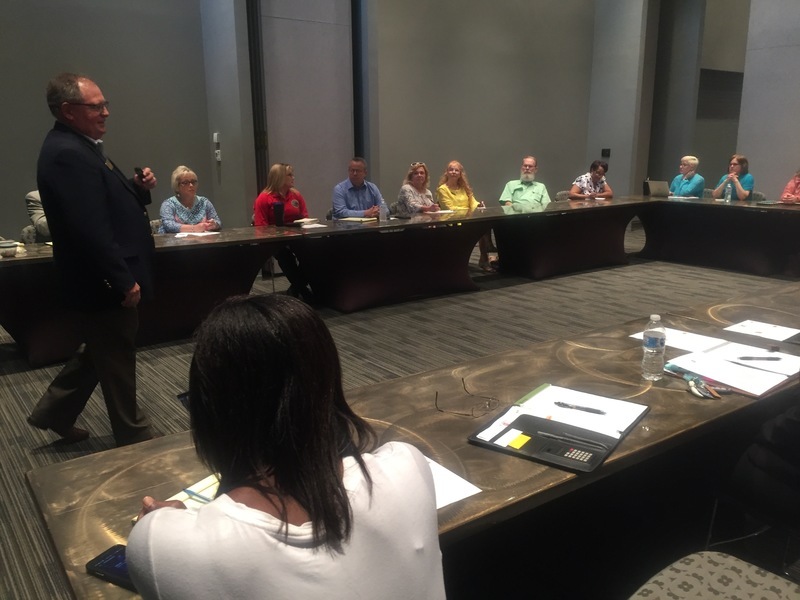 The session at Hempstead Hall on the University of Arkansas-Hope campus was hosted by HPSD Superintendent Bobby Hart and facilitated by Arkansas Leadership Academy specialist Jerry Vaughn. Vaughn moderated the discussion during the three-hour session to develop specific action steps for the working group to define itself. With a three-decades long career in public education at both the campus and administrative levels, Vaughn noted that the product generated by the initiative will deal with a problem that public education has viewed traditionally as an adjunct of the “school counseling” function, he said. “The position has changed to the point that the challenges are much different and the need is much deeper,” Vaughn said. Three key focus areas were developed during the meeting, including the development and application of resources; the impact of underlying emotional factors; and, the impact of familial influences in the development of adolescent mental health. A consensus was reached to explore how to improve understanding of current and potential adolescent mental health resources; the development of partnerships to produce that understanding; and, the need for mechanisms to explain resources and how they are acquired and financed. That stemmed from a recognition that, in the base year of 2015, four percent of Arkansas adolescents and three percent nationally considered or attempted self-inflicted bodily harm or suicide, Vaughn said. Within those two groups, four percent of Arkansas adolescent males and five percent of adolescent females considered or attempted self-inflicted bodily harm or suicide, as opposed to two percent of adolescent males and four percent of adolescent females nationally. Vaughn said the figures represent a need to address the puzzle of public policy, available services and support mechanisms at a much earlier age. “The purpose behind this group is to involve all facets of our community in providing solutions to an ongoing problem across our community and country,” Hart said. He said the group will meet, again, Sept. 5 at 8:30 a.m. at Hempstead Hall, and is open to the public. “I want to encourage anyone interested in participating to please contact my office to RSVP our next meeting,” Hart said.